Predator Gaming will be hosting the 2nd Asia-Pacific Predator League 2019 Tournament at the National Stadium, Nimibutr Sport Building on Feb. 15 to 17. 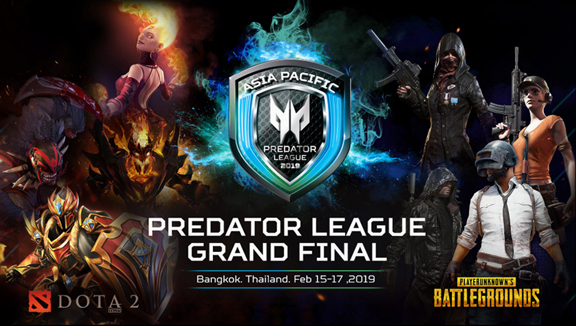 Gathering 26 of Asia-Pacific's best eSports teams, Predator League is all set to play in an offline final in Bangkok with a prize pool of $250,000 USD or over P13 million. All set at Bangkok's National Stadium, Predator will give gamers an immersive experience with Predator's supreme gaming line including the massive Predator Thronos, the Predator Simulator Mobile, and the creations of Case Mode showcasing the best from Thai master modders. “Predator Philippines is proud that the teams who will be representing the country are some of the teams to beat at this year's Asia-Pacific tournament,” said Sue Ong-Lim, Predator Philippines Sales and Marketing Director. “It's the most exciting tournament that Predator has established and Predator Philippines gives its all-out support to reinforce our brand’s commitment to the gaming industry in the region." The eSports industry has been making an unrelenting growth worldwide. According to market intelligence for games, eSports and mobile Newzoo, eSports' global revenue is predicted to rise by 37% or $1.1 billion by 2019, versus 2016 revenue of $493 million. By 2021, the eSports industry is projected to generate $1.7 million in revenue. These figures envision the eSports industry's sustainable growth that related industries should support. "The Asia-Pacific Predator League 2019 is meant to showcase the superb Predator-branded gaming equipment that team players from all over the region will be getting their hands on," said Mr. Andrew Hou, President of Acer’s Pan Asia Pacific Regional Operations. 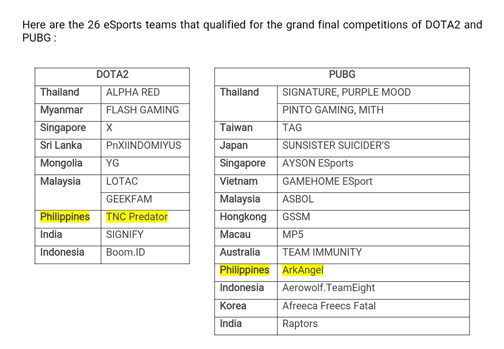 "Players of PUBG and DOTA2 will be showcasing their skill and shine the light on Asia-Pacific eSports athletes in the international gaming sphere." "Acer Thailand is honored to host this year's tournament where we can welcome all 26 teams coming from all over the region," said Mr. Alan Chiang, Managing Director of Acer Thailand and VP of Indochina region. "We have been very selective of the technologies and innovations of how we plan to showcase the games via broadcast, and we cannot wait to have fans from across the region witness these players battle for victory." Apart from Asia-Pacific Predator League 2019 that will be held inside the stadium, a special concert from Bangkok's idol girl group BNK48 will be performing. Outside the stadium, eSports fans will enjoy games and challenges from booth activities, cosplay, and food trucks for all three days of the competition. Get the latest information and watch Asia Pacific Predator League 2019 Live Streaming on Facebook – PredatorGamingPhilippines, Youtube - Predator Gaming, Twitch – Predator Gaming and www.predator-league.com.